It’s a holiday week here, and we are feeling like a holiday since we have sort of a coldfront coming through – we are only supposed to be in the 80′s or very low 90′s this week, people – that’s a definite reason to celebrate! So I’ve been Fuel Cycling on Trim Healthy Mama for the past week,and it’s been great! Comparing my weights for the 1st vs. 8th day, I’m down 3.8 pounds! That is huge for me, since I’m generally a turtle whose weight moves super-slow. I attribute part of my success to this luscious drink that I concocted to make it through the week. 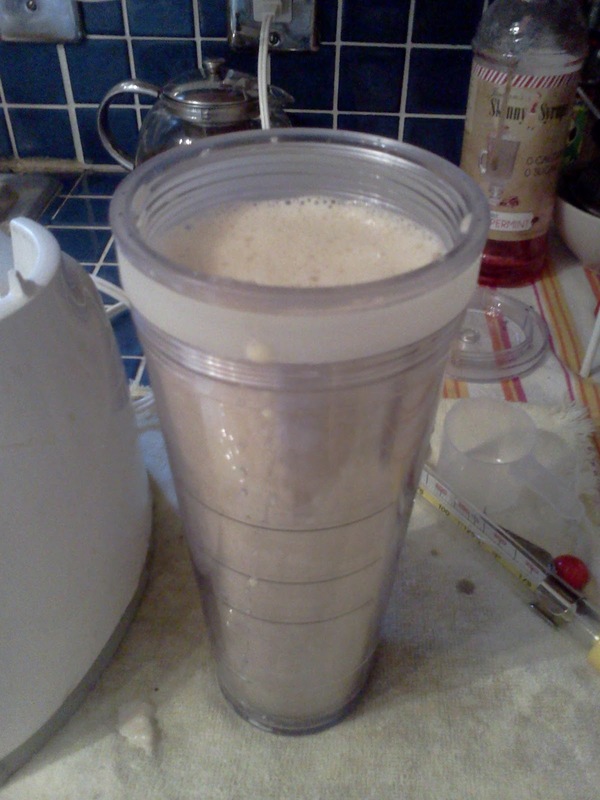 I call it The Java Chiller. Sweaty Summer Cycling – Fuel Cycling, that is! This week I’m starting the second week of my Trim Healthy Mama Fuel Cycle. Right at this point I’m down about 1.6 pounds from the day I started my Fuel Cycle, and that’s a pretty good loss for me, so I want to see if doing the second week will push me along even further.